It’s always fun to see the amazing talent from other artists and today I want to share a few lovely creations from someone I get to call a friend and fellow artist. The samples are from Kara, who has the wonderful ability to take a variety of design elements, bits and pieces, if you will, and turn them into wonderful art. She was kind enough to use some of the Swell Noel art from the scrapbooking collection and I have the privilege of showing it off. 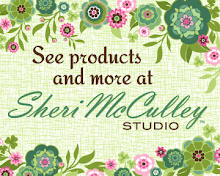 To learn more about Kara and the beauty she brings to her creations please visit her blog, My Studio Pink. 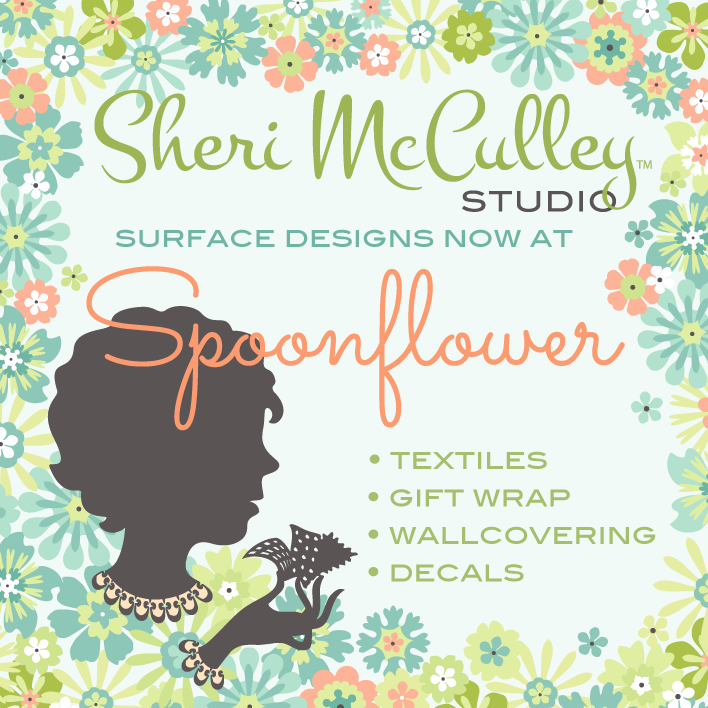 I know you will be as delighted as I have been when you see her unending talent and precise attention to detail. What’s more, Kara is a true gem! I received my December issue of Country Living magazine the other day and always look forward to paging through it each time it arrives. It is a magazine that I have known and enjoyed for years. I remember my mom subscribing to it many years ago. She was one of the original subscribers when it began thirty years back. So, I feel like the magazine has been a part of my life, well, longer than even my own family. It is one of only two magazines that I loyally subscribe to and this month I was especially glad that I do. 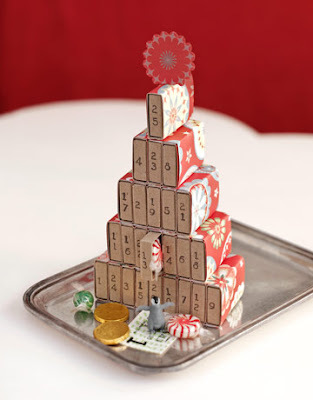 As I came to a section in the magazine called “Dazzling Holiday Decorating Ideas” I noticed a neat advent calendar made with little matchboxes stacked into a pyramid and wrapped with festive holiday paper. 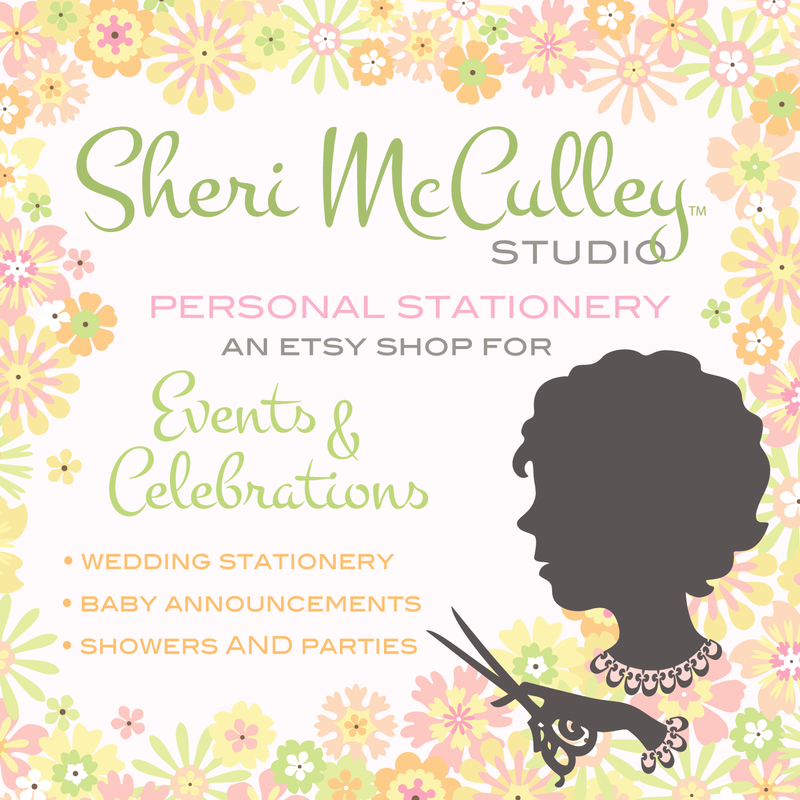 It was then that I noticed the paper used for wrapping the little boxes was my paper that I had designed for K&Company. How fun to see, and what a nice surprise to find in the magazine. 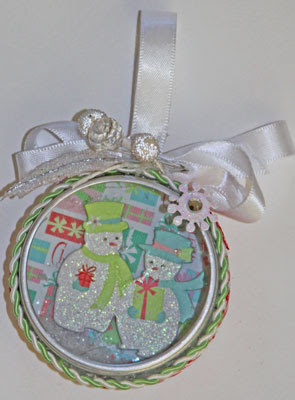 I then flipped to the next page and found little nickel frames hanging on a Christmas tree framing more of my art. Well, needless to say, it put me in a happy frame of mind! If you are interested in seeing these projects from Country Living and you are not a subscriber, you can learn more by visiting countryliving.com. 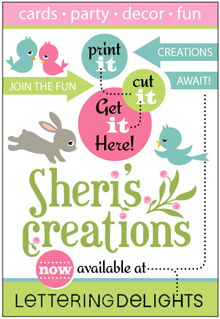 Once there, go to: crafts>projects> craft ideas for Christmas decorations, to see how these projects are made. 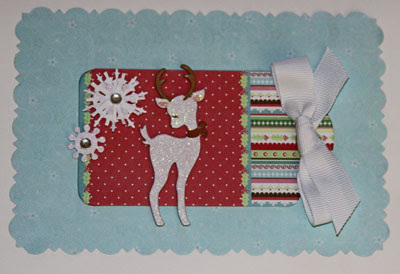 The original paper can be found at scrapbooking shops which carry the Swell Noel collection by K&Company. One of my favorite memories of Christmas past is of an advent calendar we had showing a winter scene with a cozy home tucked inside the snow drifts. Each window of that house had tiny shutters to open and peek inside to a Christmas toy or candy or little elf. 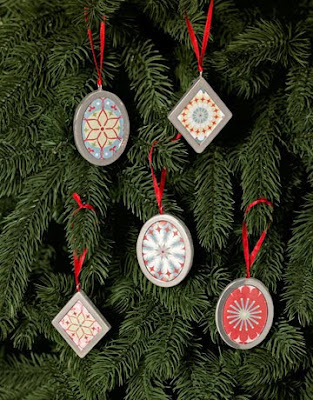 For the twenty-five days leading up to Christmas morning we would start our days with that tiny visual gift. Now, there are all types of advent calendars styled in everything from tiny metal buckets all numbered and hanging in a row, to miniature knitted stockings with much the same idea. I have found my favorite advent calendar for this year. Well, actually it found me. 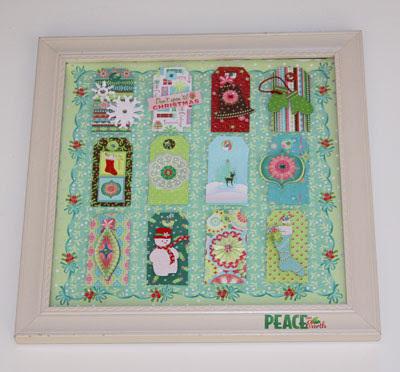 I was delighted to receive a message a few weeks back from Alice with a fun photo of the advent calendar she made. 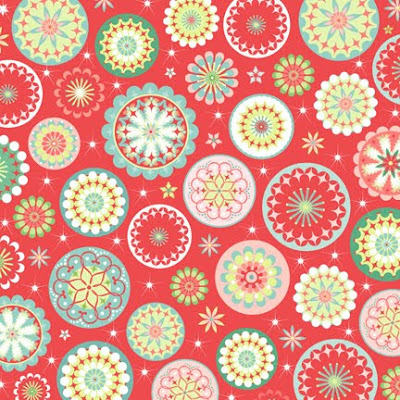 Alice is one of the gracious people who frequents my blog and gave me the privilege of creating a darling advent calendar using the panel art from the Have a Sheri Berry Holiday fabric collection. Alice created it for a friend so she could begin the traditions of this season each year with her children. I imagine today they are peeking inside that first pouch to discover a tiny Christmas treasure. I am particularly drawn to Alice’s style she used for creating the wall hanging. I love the embroidered wording, numbers and starbursts she stitched by hand. That adds an element of handcrafting that I find so endearing. My daughter and I think it has a very “Anthro” appeal. Soon it will be Christmas Day. 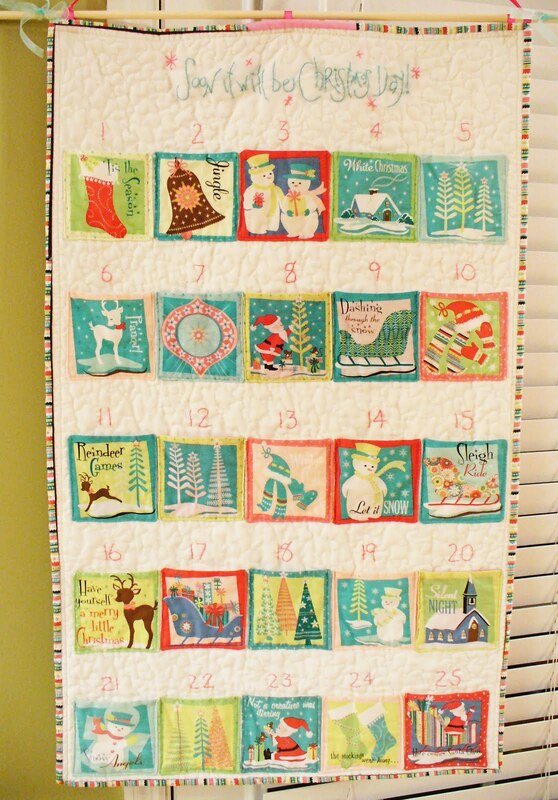 Enjoy each day leading up to December 25 and if you don’t have a cute advent calendar from Alice, just remember to start each day as though you are peeking into a pocket full of treasures and remind yourself that those treasures do surround you each day of the year. Thank you Alice, for sharing your lovely art with all of us.